With four James Taylor performances to open the Tanglewood season will it be a tougher sell without Carole King? 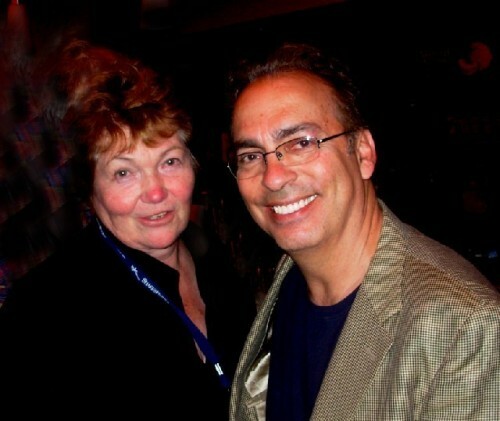 Mark Volpe has front loaded the franchise performers to launch Tanglewood 2011. 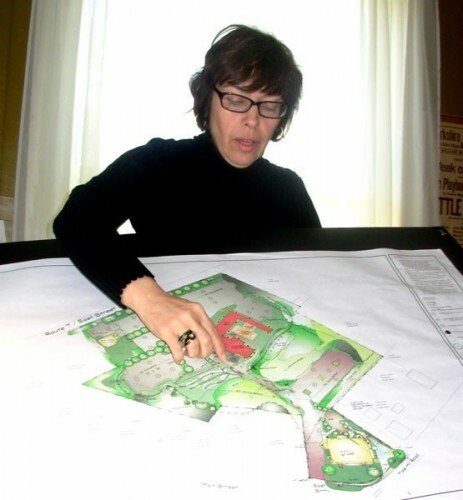 Kate Maguire has a lot on her plate including developing the Stockbridge campus. Maguire is excited about adding the Colonial Theatre to her BTF responsibilities. Last year Randy Harrison was trashed as Nagg in BTF’s Endgame. There is speculation as to how Maguire will play her ace, Randy Harrison, this coming season. 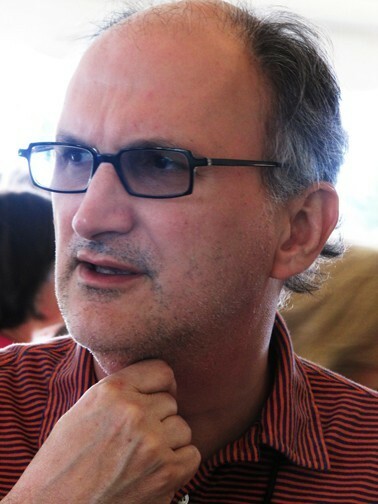 Tony Simotes has taken over development of Shakespeare & Company. There is good synergy between Simotes and founder Tina Packer. 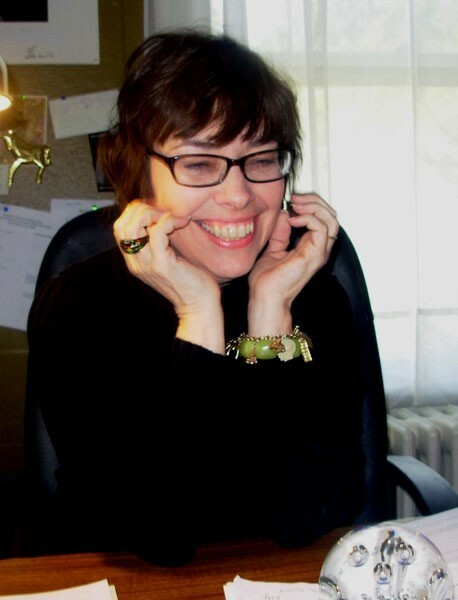 Jenny Gersten, the new artistic director of Williamstown Theatre Festival "Loves musicals." It is anticipated that Nicholas Martin will return to WTF to direct a musical. WTF has always drawn established actors like Dylan Baker. 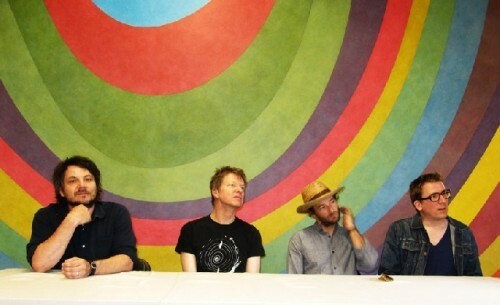 It is anticipated that Mass MoCA will move the Wilco Festival to June. While most of us are preoccupied with Holiday plans the Berkshire arts and hospitality industry, which is estimated to infuse $500 million into the region’s economy, is already projecting programming and marketing for the 2011 season which will have a soft launch in June with hard bop on the Fourth of July weekend. This week the all important Tanglewood Music Festival, the market maker for the region, has posted its summer schedule. While not earning high marks for creativity or innovation Tanglewood, once again, appears to front load its franchise hits. Not that the bookings are newsworthy but they are proven winners. Last year, the annual Mark Morris Dance Company appeared mid season. It is again the first horse out of the barn jump starting the program. Morris’s company performs on June 28 and 29 in Ozawa Hall. It is normally packed with dance enthusiasts. The BSO confines itself to one dance series per season so as not to upstage the renowned Jacob’s Pillow. If Morris, as expected, fills Ozawa Hall the momentum is calculated to accelerate through the Holiday weekend. On June 30, James Taylor will make one of four holiday appearances. An intimate evening in Ozawa Hall with the Berkshire based, singer songwriter is sure to be a hot ticket. Last summer there was a frenzy as Taylor appeared with running buddy Carole King. The dynamic duo sold out concerts on Saturday, Sunday, and Monday. There is no marquee partner announced so far for 2011 which makes a weaker booking. JT has lots of friends including a Berkshire neighbor, Yo Yo Ma, who has already been penciled in for some duets. For the Taylor/ King weekend and three shed/ lawn sellouts, at some 14,000 tickets each, it was anticipated that opening with Pops on Friday would be just fine. It wasn’t. This time, the BSO is beefing up Friday night Pops by including Taylor as a guest artist. While probably not resulting in a sell out it should help. There is an interesting move on Saturday night. The popular, annual, Garrison Keillor show, which is normally a June attraction, has been shifted to the main event, Saturday night, during a Holiday weekend. The act is a bit tired but has a solid fan base. Then Taylor closes out the weekend on Sunday and Monday. 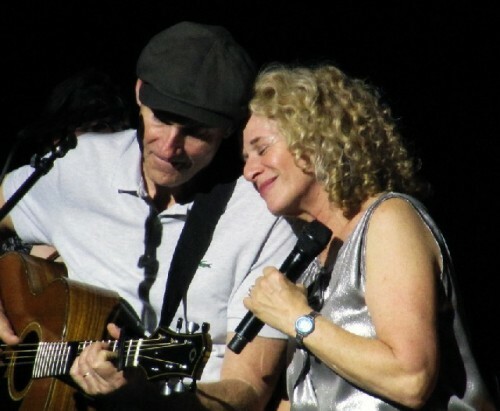 Minus Carole King, four appearances by James Taylor will be a tougher sell. The four evenings of Shed/Lawn concerts have a potential to sell some 56,000 tickets. Add to that the prospect of three, sold out evenings at Ozawa Hall. The Hall’s capacity is 1,200 and, on a nice night, the end opens up for lawn seating. If all goes well, and the weather cooperates, the Tanglewood season should be off and running. Last year Tanglewood sold 356,407 seats. Compared to Tanglewood were combined sales for theatre: Barrington Stage, Berkshire Theatre Festival, Colonial Theatre, Jacob’s Pillow, Mahaiwe, and Shakespeare & Company, at 286, 506. There is a plus/minus margin of error based on statistics published by Clarence Fanto in the Berkshire Eagle last October. Jacob’s Pillow, for example, reported 89,000 visitors but no break down between paid and free for its popular Inside Out program. Also, the stats included year round capacity with two and a half months remaining during the shoulder season. However imperfect the math, the combination of Tanglewood, and theatres, comes to 643, 013 tickets. Of the four major theatre companies the top seller was Shakespeare & Company with some 50,000 plus. Barrington Stage was next with 40,000, then Berkshire Theatre Festival with 30,500, and Williamstown Theatre Festival, which does not run year round, at 28,885. In its first year in Pittsfield Beacon Cinema has drawn 190,000. It was no contest between the allegedly similar programming of the Mahaiwe, at 39,000, and the troubled Colonial with an attendance of just 9,021. Despite these lopsided figures the budget for the Colonial was $1.85 million compared to $1.45 million for the Mahaiwe. The greatest question for the 2011 season is how the merger of BTF and the Colonial will play out. Of the four major companies, BTF, with year round programming, is just an increment ahead of WTF. Of the four companies BTF, at $2 million, had the smallest budget in 2010 compared to $4.7 million for S&Co. Barrington spent $2.7 million. In its short season WTF spent $3.1 million down from $3.7 million for 2009. There is also a $3.1 million endowment which supports for its education program, costly productions, and star studded casting. All four theatre companies have ambitious education programs. This accounts for a significant part of their budgets. The merger of BTF and the Colonial is sure to raise their critical mass and potential. But it will take time, at least a couple of seasons, to work out the kinks. The Colonial, with better management and booking, as well as improved marketing and fund raising, should draw numbers closer to the Mahaiwe. Which leaves in question the renovation of the Mohawk Theatre, in North Adams. With a thriving Mahaiwe, and struggling Colonial, it begs the question of a need for yet another, similar theatre. Compared to the Colonial and Mahaiwe, the Mohawk was built as a part of E.M. Lowe’s chain of movie houses. It lacks the deep stage for theatrical performances. A lot of money has been spent so far. There are options but not the kind of energy and commitment to make design adjustments for mixed use programming. Right now the Mohawk is stalled if not dead. If you run the numbers, with caveats, the museums: Berkshire Museum, the Clark Art Institute, Mass MoCA, The Mount, and the Norman Rockwell Museum, had combined numbers of 507, 914 visitors. This does not include numbers for Williams College Museum of Art, Hancock Shaker Village, Chesterwood, historic houses, and smaller programs such as Storefront Artists, in Pittsfield, and Down Street, in North Adams. It is difficult to separate exhibition and performance numbers for The Clark and Mass MoCA. How does the Wilco Festival factor in for Mass MoCA? With a significant margin of error the combined performance and exhibition figures, using the Eagle’s statistics, are 1,152,927 visits/ seats. It is calculated that there are 2.5 million visitors to the Berkshires (80% in summer and fall). They spend an estimated $337.2 million. The hospitality industry employs 11,000. Of 24 major hotels and inns tracked last season they had a 63 % occupancy rate last summer. The combined economic impact of culture/ hospitality/ tourism on the region is estimated at $500 million. Is it enough? Can we do better? Ask the average person in the Berkshires (2000 population 134, 953) and most are struggling. Jobs are hard to find and property values are flat or have eroded. There are geographic factors in the county’s 946 square miles. A major issue is proximity to New York and to a lesser extent, Boston, or Connecticut. Southern Berkshire County is an hour closer to New York and Boston. That extra hour of driving time has always made Northern Berkshires a tougher sell. As a media/ cultural destination and market it is a no brainer that Pittsfield is thriving. Because of proximity to New York, property values in Southern Berkshire Country are two to three times those in Northern Berkshire County. With the exception of Williamstown. A major obstacle for improving demographics involves facilitating moving visitors in and out of the Berkshires. Public transportation by bus and train is arduous and time consuming. During the season there is a need to develop bus, van and limo connections to New York and Boston. This might entail three pickup/ dropoff locations in the Berkshires and then straight to and from destinations. There might be weekend packages including transportation, lodging, valet and concierge services. We already see that with a VIP lawn section during top Tanglewood events operated by upscale Canyon Ranch. The challenge is to connect the dots, overcome issues of distance and driving time, and market all of the Berkshires as one of the nation’s prime destinations for culture and tourism. Until now the branding and marketing strategy for the Berkshires resembles the mythical five blind men describing an elephant. The state funded budget for the Berkshire Visitors Bureau in 2010 was just $100,000 down from $500,000 in 2009. If all of the arts organizations committed an increment of their annual budget, and got the Commonwealth on board, it would be possible to develop an effective branding and marketing campaign. Of course, the playing field is hardly equal. On the high end is Tanglewood with deep pockets and endowed resources. Its strategy is to sell itself with a trickle down impact on all other players. On the low end are struggling arts organizations trying to pay down debt, reduce costs, and survive. Rich or poor, however, it would be productive to set a dollar amount on all of that combined development, marketing, and advertising. If an increment were set aside for mass marketing just how much cash would be mustered? How might it be spent? Consider seasonal spots on TV and full page ads in the Sunday New York Times and Boston Globe. With most of it allocated during the bookend holidays of July 4 and Labor Day. Now that Tanglewood has announced plans for the season how might all of the parts of the puzzle fall in place for a proactive launch? Individual theatres and arts organizations may fret over all those tickets to sell. But that is precisely the sizzle needed to brand and market the Berkshires. Arguably, during the summer season, the Berkshires are the nation’s foremost destination combining a rural setting with world class arts and entertainment. For the past couple of years the Berkshire arts organizations have been meeting and networking. It has been an incremental process to evolve toward pooling resources and flexing its muscle. So far the public has not been privy to this thinking process. The approach has been to identify common goals but with every tub on its own bottom. There needs to be an entirely revised media strategy. How to increase the visitor base from 2.5 million? Consider the wiggle room with hotel and inn capacity at just 64% during July and August. What is the strategy to sell more beds and to sustain the shoulder seasons? Just where is the epicenter of the target demographic to make that possible? This comes back to the need for a new branding of the Berkshires. Just what do we mean by Berkshires? Is it a place or a state of mind? What is the difference between New York and The New Yorker? New York means Manhattan while New Yorker implies everything about being first, metropolitan, and then cosmopolitan. How about a similar approach to Berkshires? During the season those 2.5 million visitors are residents of the Berkshires. Most of them are New Yorkers, and to a lesser extent, Bostonians, who visit or summer in the Berkshires. The pitch is to New York and Boston media to consider expanding their readership. There is some but not enough coverage from the New York Times, Wall Street Journal and Boston Globe. Even irregular reviews have a major impact on selling shows. But the reviews are not predictable or timely. How to change that? Well, advertising. Placing regular ads in New York and Boston media pretty much guarantees increased coverage. It gives the arts vital leverage. Sources indicate that the four major theatre companies will combine for Times ad buys as soon as this coming season. And that Governor Deval Patrick, a Berkshire resident, appears to be willing to commit Commonwealth resources to develop a marketing strategy for the region. In recent years there has been a major shift in how people get news and arts reviews. With the decline in print journalism there has been an explosion of on line blog sites and social networking through Facebook and Twitter. When a theatre company opens a show the on line coverage is generally posted by noon the following day. On average, a Berkshire Eagle review is posted five days later. The Advocate appears on Thursday. 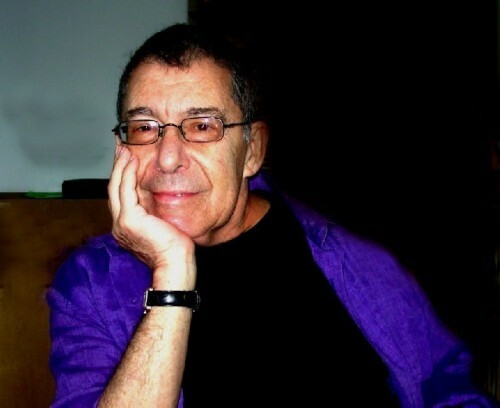 But its critic, Peter Bergman, is usually the first to post to his blog Berkshire Bright Focus. Last summer, we often saw former Globe critic, Louise Kennedy, attending opening nights. Before she resigned, at the end of the season, Kennedy commented on her struggles with the Globe. She did her best through adversity. It remains to be seen what will be the Globe’s policy this summer. If theatres take ads will that translate into increased Times and Globe coverage? It is important to convey to Globe and Times editors that many of their regular readers visit or reside in the Berkshires during the summer season. The explosion of on line coverage has created a lively debate. With print reviews appearing late and on an irregular basis, increasingly, theaters have used pull out quotes from bloggers in their weekly e mail blasts. If a WTF show opens, as usual, on Thursday, by Friday it is looking for reviews to sell its weekend shows. Given two week runs timely marketing is essential. Most on line reviewers strive to post by noon the next day. By picking up pullout quotes from bloggers, for e mail blasts, and print ads theaters endorse and promote these writers. 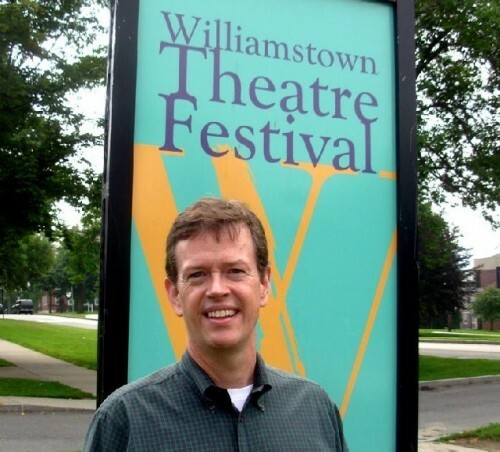 Last summer, Nicholas Martin, the former artistic director of Williamstown Theatre Festival, in response to a review of “The Judy Show” by Gail Burns, of the widely read blog, Gail Sez, removed her from the WTF press list. There have been rumors, now confirmed, that BTF is considering downsizing or eliminating bloggers from its opening night list. One theatre publicist we spoke with divulged that there are 17 bloggers on his opening night list. But they are viewed as “invaluable” in getting the word out. Everyone with a cell phone or a website is now a critic. Some of us are qualified, while clearly, the vast majority, are not. Consider, for example, the $60 million investment in “Spiderman” which is now in previews on Broadway. Bloggers, most of whom are not on Broadway press lists, often buy discounted preview seats, and post reviews prior to opening night. There is, by now, all kinds of “Spiderman” coverage on Facebook and Twitter. The show needs to average $1 million a week to remain open. Well before opening night, based on internet chatter, it will be a boom or a bust. This season “Driving Miss Daisy” is the only new show making money on Broadway. Coming back to the Fourth of July in the Berkshires how are the ducks lining up? And how critical will be a fast start be to sustaining a successful season? How can the arts organizations get together and help themselves? What role will web sites have in fueling the energy of the launch? While Tanglewood is leading with a full house of proven winners how will other theatres and arts organizations play their hands? Mass MoCA may jump the gun with its now annual Wilco Festival moved up to June. It will have the game all to itself. In its second season Wilco/ MoCA will do a better job and has a better handle on issues and challenges. For the Fourth of July think musicals. Barrington has already announced that it will open with “Guys and Dolls” on June 22. That’s a week before the “pre season” at Tanglewood. We have yet to learn the plans of BTF/ Colonial or WTF. During the merger “press conference” I asked Kate Maguire “Which musical you will open with in the Colonial?” But consider that Maguire now has three stages to program so it gets tricky. 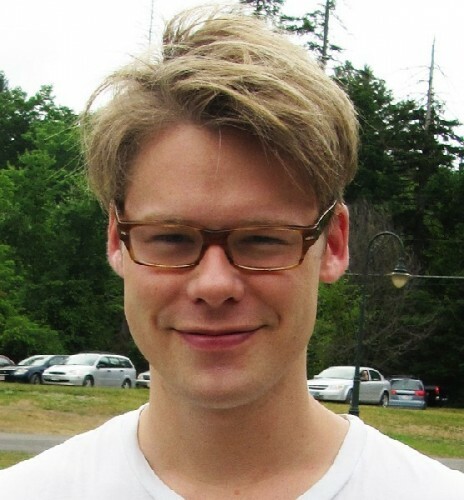 There is media speculation about how Maguire will play her ace, Randy Harrison, who has a fanatical, global fan base. Last summer, Harrison took one for the team. He was literally burried and all but unrecognizable in a masterful performance as Nagg in the demanding drama "Endgame" by Beckett. It is likely that Maguire will feature him this season. There are options to build a play around him either at BTF or in an ambitious, possibly, pre New York production at the Colonial. 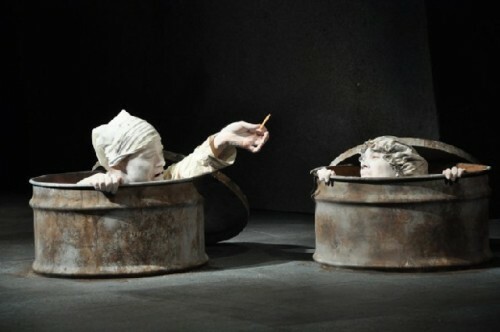 It has been suggested that Randy might be presented in a one man work like Beckett's "Krapps Last Tape" for the smaller Unicorn. Or be presented on the main stage as "Hamlet." Harrison has indicated interest in Beckett and Shakespeare as well as the right musical project. However he is cast Harrison is a sure bet to sell a lot of tickets. 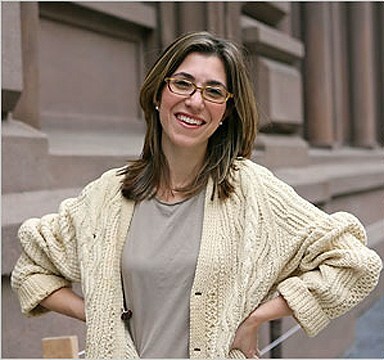 Jenny Gersten, the new artistic director of Williamstown Theatre Festival, has declared that she “Loves musicals.” Our money is on WTF opening with a musical directed by emeritus artistic director, Nicholas Martin. By contrast, S&Co. does not do musicals. Tony Simotes is planning a tighter summer schedule of three productions for its Founder’s Theatre and four or five smaller ones for the Bernstein Theatre. It seems that not everyone loves musicals as much as Jenny Gersten. Last summer Barrington produced three, one of which, was an off site youth production of Sondheim's "Into the Woods." It opened with Sondheim's "Sweeney Todd" competing for audiences with the WTF production of his "A Funny Thing Happened on the Way to the Forum." 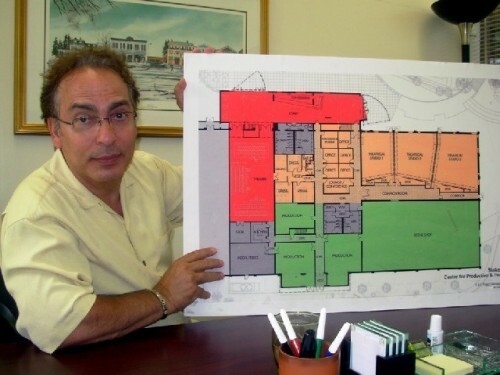 While "Forum" was a sellout for WTF the dark "Sweeney Todd" proved to be a tough sell for Barrington. But Julianne Boyd is committed to Sondheim and we anticipate more of his musicals in coming seasons. Often theatre professionals seem more enthusiastic about Sondheim than audiences. Both of BTF’s summer musicals “The Last Five Years” and “Babes in Arms” received mostly mixed to negative reviews. It had a warmer reception for a shoulder season, community based, production of "Annie." Critics were divided in response to two new musicals. With the exception of Larry Murray, of Berkshire On Stage, most critics trashed Barrington’s “The Pool Boy.” I loved “The Last Goodbye” at WTF but not everyone shared my enthusiasm. To put critics in perspective “Pool Boy” sold well and “The Last Goodbye” sold out for WTF. So here we are counting the days before Christmas, and yet, knee high by the Fourth of July. Yo, ho, ho.